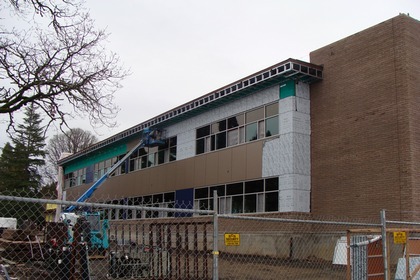 Sisters of St. Mary of Oregon K-8 school is a new 2 story 67,000 sf school located in Beaverton, OR. SSMO features 25 modern classrooms, a cafeteria and dining facilities. American Heating installed all the wet-side hydronics and dry-side mechanical components for this project. Four rooftop mounted VAV units with heat recovery were installed to serve the building. High efficiency boilers were installed to provide hot water re-heat to the terminal units.